Dribble Ons are super comfortable. With two stud fastenings that allows it to grow with baby, it's made from stretchy quality fabric that holds its shape and looks great wash after wash. 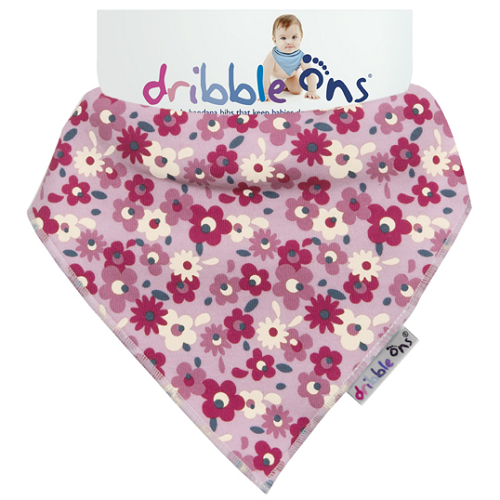 Pack contains 1 x Dribble Ons Designer Print Bib (Floral Ditsy). Two stud fastenings at back for size adjustment as needed.